New York - Ten days after the changeover to exclusively cholov yisroel products at ten Starbucks locations in the metropolitan New York area, stores are reporting that it is business as usual at the popular chain, with positive feedback coming in from coffee lovers. Starbucks made the changeover to serving exclusively Pride of the Farm milk, half and half and cream on May 31st at locations in Brooklyn, the Five Towns and the Lakewood area as part of its ongoing commitment to serving locally relevant items. Whether or not the change will be permanent remains to be seen. “We often test products to gather feedback from customers and partners,” said a spokesperson for the coffee giant, which operates over 23,500 stores worldwide. 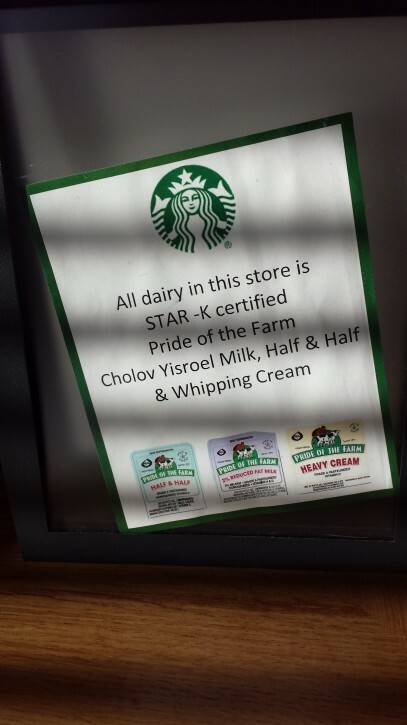 Rabbi Zvi Holland of the Star-K, which certifies the Pride of the Farm milk being used by Starbucks noted that none of the stores are under Star-K supervision, but confirmed that the milk being used at the stores is exclusively cholov yisroel. The question of drinking coffee at Starbucks is actually a complicated one, observed Rabbi Holland, who suggested that individuals consult their rabbi for further clarification. The Star-K website (http://goo.gl/PrPBUw) only recommends Starbucks Americano, bottled drinks bearing KD supervision, espresso and bagged and loose teas with a reliable hechsher. Other items that are listed by the Star-K as acceptable only for consumers who are traveling, or from kiosks that do not serve any meat items, include Starbucks plain brewed regular and decaf coffee, cappuccino and hot lattes. The potential problems with coffee shop coffee arise because many establishments, including Stabucks, also serve non-kosher food and the coffee equipment may be washed in the regular washing systems that are used for non-kosher items. “It doesn’t make the coffee non-kosher but Rabbi Heinemann feels that it does achieve questionable status,” said Rabbi Holland. While there are many rabbonim who do allow the use of the regular Starbucks coffee, the Star-K only recommends those items whose equipment does not get washed with non-kosher items. Because it is aware that the Star-K has listed some of its beverages as not acceptable, Starbucks is working with the agency on possible changes. “They have engaged us in a conversation of what we could do to advise them how to expand the comfort level for the kosher consumer and how to expand the list of recommended drinks,” said Rabbi Holland. 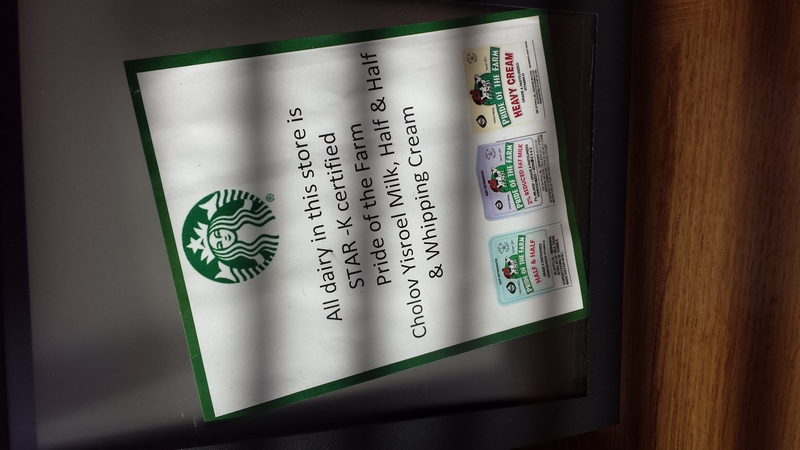 At the Cedarhurst Starbucks on Rockaway Turnpike, one of the ten stores participating in the test program, the switch to kosher milk has gone off without a hitch. A barista at the Lakewood Starbucks on Route 70, said the changeover made sense, giving the growing Orthodox Jewish population in the area, many of whom were grateful to be able to have regular milk, instead of soy milk on their visits to Starbucks. Janelle Hall, an employee at the Flatlands Starbucks located in Flatlands, said that she is not aware of any complaints regarding the cholov yisroel milk and the many Orthodox Jews who frequent the store are content with the switch. “We have always had Jewish customers and the feedback so far is that everyone is happy about it,” said Hall. 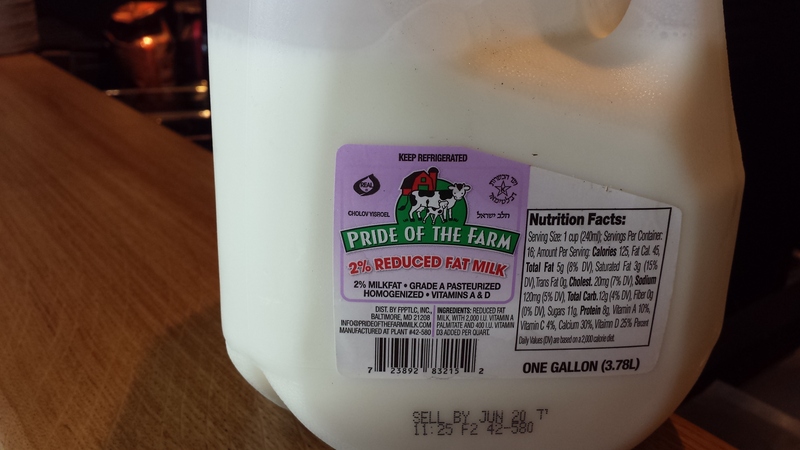 So the rest of the store still may have treif food or other non-kosher food and drinks, and any cross contamination is still an issue... but at least the milk is kosher! Basically, anything kosher that you could have bought before - and had black or with soy milk, you can now have CY milk. This whole issue is highly misleading, as there are many drinks they serve that are not kosher. Hopefully they will become fully kosher - at least in the specific store/s. Still don't understand how aomebody can be makpid on chalav yisroel but buy coffee from a place that does not have a hecsher, with non jews handling food, and no masgiach tamidi??? they don't touch the coffee. The coffee is made in machines. Have you ever been at starbucks? What issue is there with non jews "handling food"? You think they physically touch the coffee? The only issue is the one star k raises where its possible that the machine is washed i the sink where treifa dishes are. Even that is a very far out concern that only star K is machmir on. Its like 3 safeks combined together. Star - K , the CRC, and basically every reputable hashgacha that has investigated the issue strongly advise against consuming Starbucks beverages. There are many real halachik problems with it even if the milk is cholov yisrael. u folks care about cholov yisroel but you dont care about a hechsher? who is confirming that the milk is indeed, cholov yisroel and being refilled with other milk? Is the star-k visiting all these stores? This flies in face of what any reputable hashgacha agency stands for.